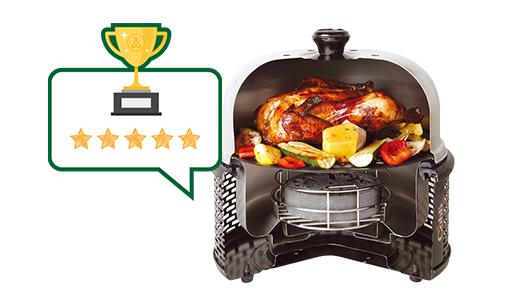 Share your review to win a Cobb BBQ! Don't forget to fill in the code you received! You can do this on the review form. Then you'll automatically be entered into the draw for a Cobb BBQ! 1. Who is raffling off the Cobb BBQ? The Cobb BBQ is being raffled off by ACSI Publishing BV. The winner of this competition will be determined by means of a draw. At the end of the promotional period, one winner will be rewarded with a Cobb BBQ. The winner will be informed via the e-mail address they submitted when entering the competition. Further information about the prize will also be via e-mail. Losers will not be notified. By participating in this competition, you stand to win one Cobb BBQ. One Cobb BBQ will be raffled off amongst the participants. In order to take part in the competition, go to www.Eurocampings.co.uk , and go to the page of the campsite you want to review. On the tab 'Reviews' you can leave a review of your experience of the campsite. At the bottom of this page, you'll see the words 'Promotion code'. This is where you can fill in the promotional code. You can find this code on the competition flyer. Once you've filled in the code, you'll be entered into the draw for the Cobb BBQ.